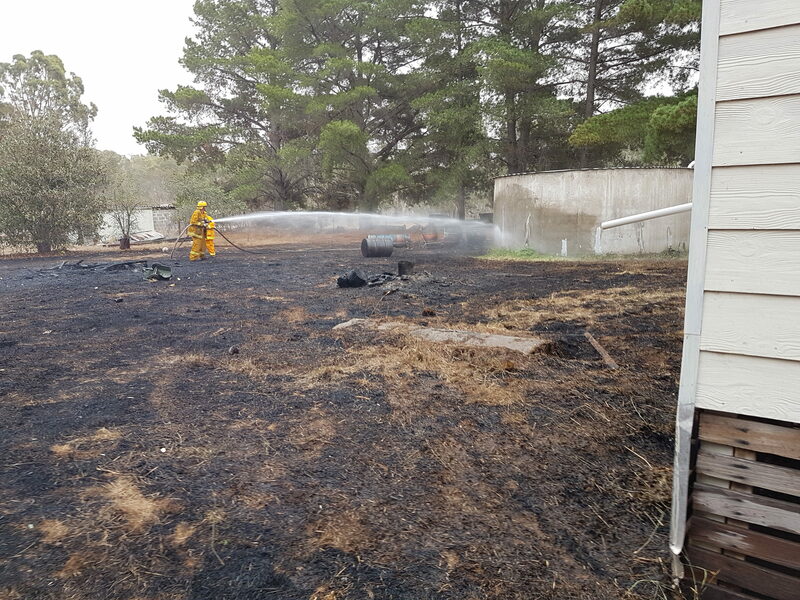 At 03:50 this morning 18/03/2019 the brigade was paged to a car fire approx 2km on the Carisbrook side of Newstead. Upon arrival the car was fully involved and the fire had spread into the still tinder dry grass and scrub surrounding the car. Both Newstead tankers were on scene. Two crew members in breathing apparatus dealt with the car fire while remaining crews were able to extinguish the grass fire. Cool, still conditions meant the grass fire didn't spread far but the grass is still very dry and any breeze would have resulted in a more significant spreading grass fire. The car is suspected to have been stolen from Melbourne. Good work by all Newstead members at such an early hour this morning. 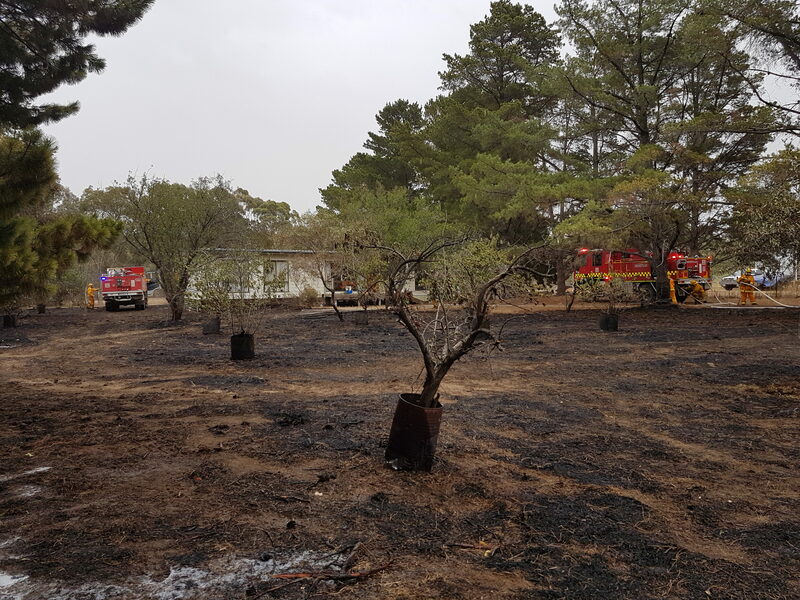 At 1.00 pm on Sunaday 10/03/2019 the brigade was called out to a grass and scrub fire in Welshmans Reef. 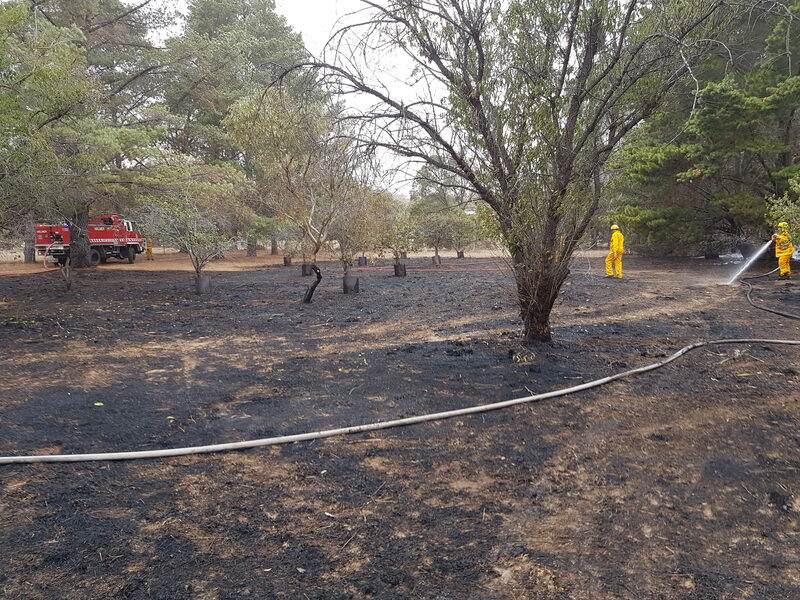 On arrival the brigade was faced with 1 house under threat and an area of grass and pine trees on fire. 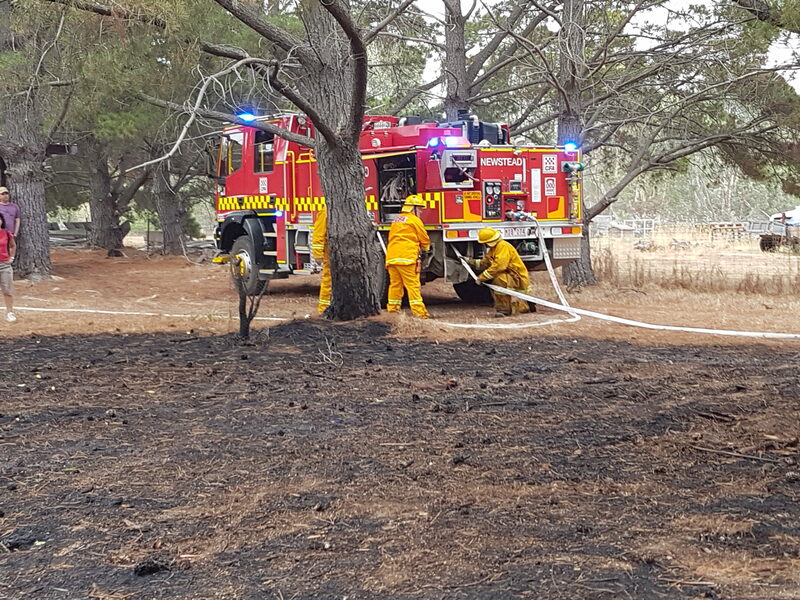 Further support from Maldon Brigade and Walmer brigade had the incident under control. This was timely as it was just before a south westerly wind change that came through the fire ground. 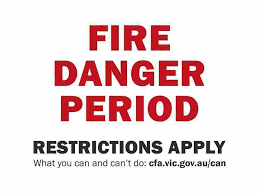 The cause was an illegal fire that had been lit by one of the residents a further reminder that summer may be officially finished but fire restrictions have not. A good job done by all crews from our local area ensured the fire was well and truly blacked out with Police attending to speak to the owners. Yet another early start for brigade members this morning 12/02/2019 when the pager/siren went off at 1:20am. A grass fire on the side of the road, south of Sandon that had spread into the adjoining paddock. It was moving very slowly and was easily suppressed. Many thanks to our neighboring brigades Guildford and Franklinford for their assistance this morning and to the Newstead brigade members for turning out in force, yet again, at such an early hour. It is great that we have such strong support and commitment from our members. The fire is being treated as suspicious and a fire investigator will be out in the morning to try and determine a cause. We ask that if you see or hear any activity around your area that is out of the ordinary, please make a note of it and if necessary call the police. Newstead Fire brigade responded both tankers and the big fill to the Mannings road Fire on the 02/02/2019. Video from Helmet Camera and Phone. Early start on Sunday the 20/01/2019 with a car fire near the racecourse. Good response and good job from all crews in attendance. The car is believed to be stolen. What has your local brigade been up to. Newstead Fire brigades next Market day will held on Saturday 18 May 2019.For more information go to our Market Day Page.